These are Plain die cut labels available in various sizes and variable data on them can be printed using thermal ribbons in thermal printers. This Industrial Barcode Label come in various sizes and the tool can be manufacture with number of labels as per client requirement. This labels are numerous application and a widely used in the retailing and industrial applications. 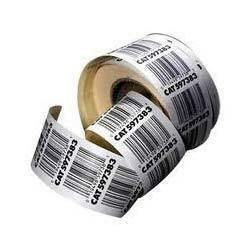 Looking for Barcode Label ?